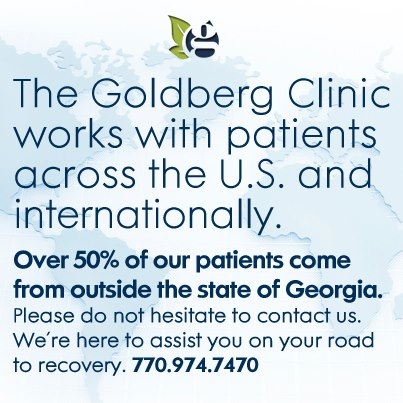 Over 50% our patients are from out of state or from outside the United States. We have patients regularly come to us from California, Oregon, New Mexico, Michigan, New York, Ohio, Florida, Texas, Alabama, Tennessee, North and South Carolina, Arizona, Louisiana, Oklahoma, New Jersey, Maine, Vermont, West Virginia, Illinois, Indiana, etc., as well as from Europe, Canada, South America, The Middle East, Asia and Australia. We generally recommend a two day visit, although one full day can be sufficient if a patient comes in early in the day and stays till the late afternoon or evening. There are pleasant and reasonably priced hotels and motels in the immediate vicinity to stay at if a patient elects to stay overnight. A Report of Findings is made after all laboratory work is completed and after all data collection is completed by the patient such as diet diaries and temperature charts. This can take from three to four weeks. At that time all results are explained, copies of all labs are given to the patient and an individualized program for the patient to follow is presented in detail. Patients from outside the area (more than a three hour drive) may elect to do the report of findings over the phone and have their lab reports sent to them by e-mail so that they can view them directly while they are being explained by Dr. Goldberg and/or Dr. Tener. E-mail, Skype and telephone consultations are employed for out of state and international patients in lieu of making regular weekly in office follow up visits. There are set fees for these services. A return visit is recommended 2 months after beginning a program.